The school holidays are fast approaching and they can be associated with a lack of routine which can mean that there are more opportunities to eat more food more often. Here are some tips to avoid over-indulging in fatty, sugary, salty and pre-packaged foods that can be tempting alternatives during the holidays. Encourage your kids to maintain their school-eating schedule. This can help to stop grazing between meals. 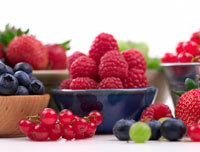 Try to stick to a nutritious breakfast, lunch and dinner as well as healthy morning and afternoon snacks. When packing the swimming gear or getting ready for the walk to the park, throw in some fresh fruit and vegetables to help with the hunger pangs. Encourage your kids to drink more water, rather than fizzy drinks. Focus on more activity to help counteract any increased food intake. Keep kids occupied as much as possible. Boredom can play a big part in snacking, overeating and drinking. Help make mealtimes fun. Let your kids help to plan and prepare a meal. 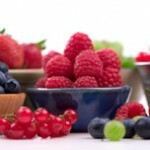 You are currently browsing the Nutritional Concepts Tips and Advice Blog blog archives for June, 2011.